Waterless bathing without soap, rinsing and drying! 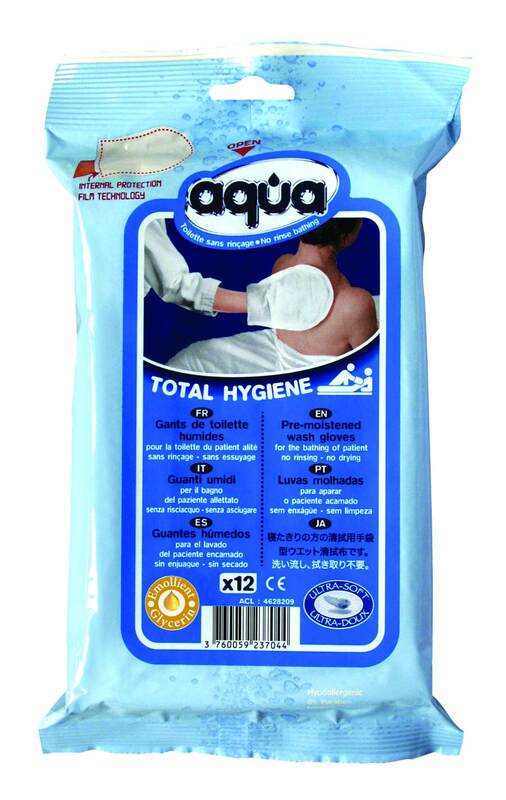 The aqua® wash glove is made of very resistant non-woven embossed material, very smooth, pre-moistened with no-rinse and protective washing lotions. It is dermatologically tested, hypoallergenic, alcohol-free and without soap. 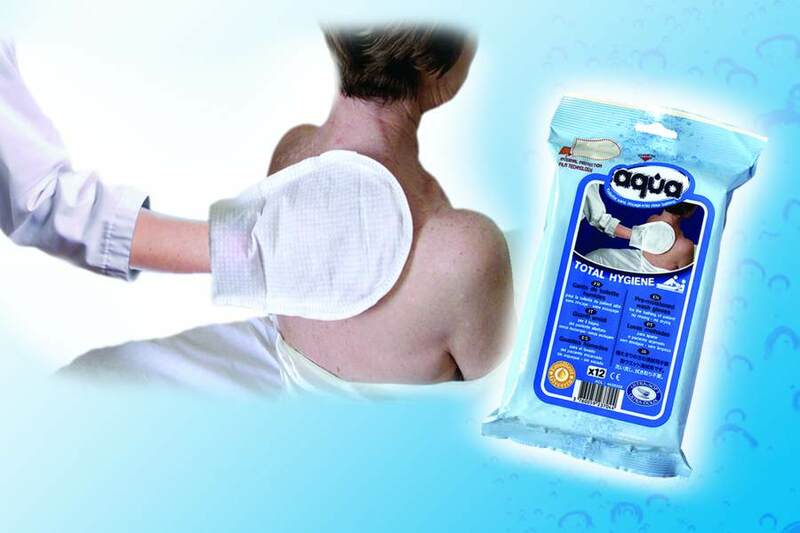 The aqua® glove gives easy to use rinse-free bathing for bedridden or dependent people. 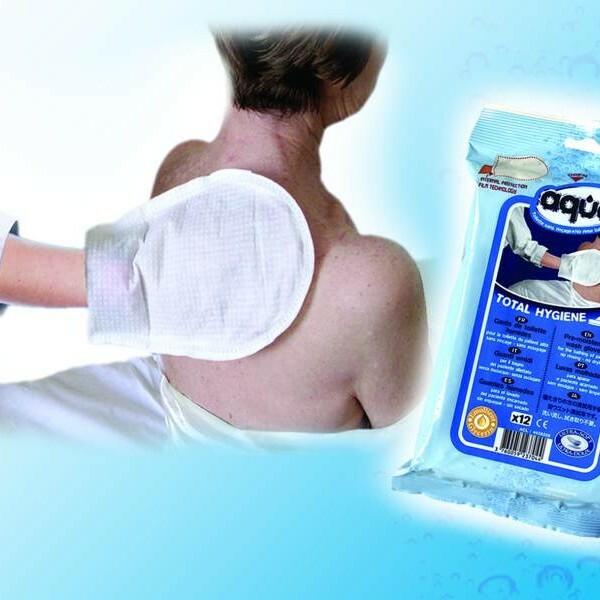 It can be used in hospitals, care homes at home or whilst travelling. 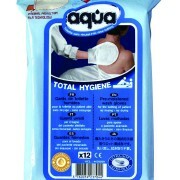 The aquaI glove is ready to use, saves time and is the ideal solution for complete, simple and effective bathing/washing.